I have been drawing all my life and have aspirations to one day make a graphic novel. I spent 9yrs in the navy drawing off and on but my skilled waned quite a bit during that time. I went to college and got a art degree in illustration and worked as a graphic designer for a sign company for a year before I took a job at the patent office as a patent examiner. I still make art and will continue work towards improvement with each piece of work I finish. I look forward to sharing my work here with and hearing feedback and criticism from you. Thanks for looking. Cool, welcome to Crimson Daggers again mate :). Good luck with the graphic novel project, I'm aiming to do the same thing myself so drop me a link me if you ever want to chat comics :). 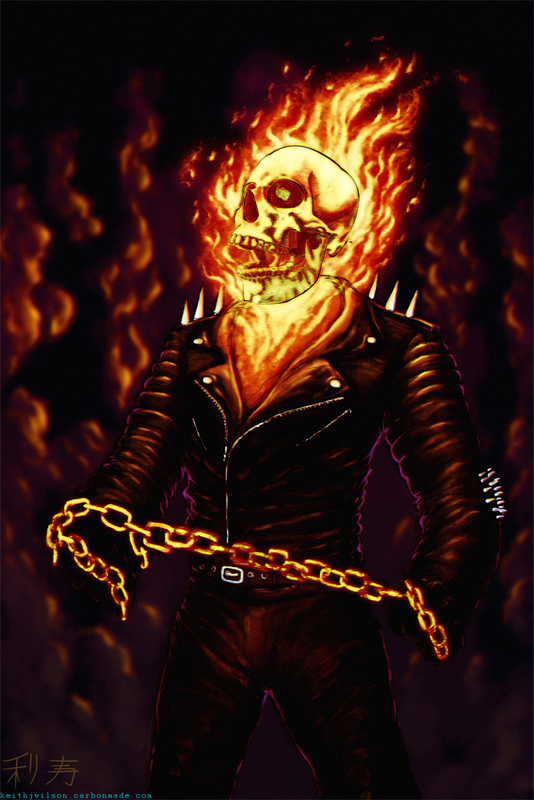 Look forward to seeing more of your work - nice Ghostrider piece by the way :).